It doesn’t matter if you’ve done this before. Moving a business to a different place, whether locally or out of state, is going to be a hassle. And, sure, you may have learned something the first time you did it. Or, you may be a complete novice at this sort of relocation. We, at Movin’ Murdy PA, want to help you have a stress-free, easy relocation. While this may seem like a fairytale when you’re just starting the process, it is possible. So, we wanted to give you a bit more information on what commercial movers should be like, and, of course, how you should choose the perfect company for you. What can commercial movers actually do for me? One of the services reliable commercial movers in Pennsylvania offer is office relocation. Office relocation in Pennsylvania means a full service for a small business. We mostly recommend it to customers who’ve just started their work and don’t have a full building of office floors, but a working space or two. Then, you don’t need a large moving van or a giant crew of organized workers. Instead, what you need is an organized small and effective group. This is what Movin’ Murdy provides as one of the best commercial movers in the state. Our workers are experienced and diligent. They arrive at your address at the specified time and they prepare everything inside for the relocation. If you decide to book packing and unpacking services with us, as well, then they will do this, too. Our PA packing supplies are sturdy and safe. The workers know how to pack each and every item so that it’s completely safe in transit. And, the best part is, when you call our local movers Pittsburgh in for an estimate, it won’t leave you broke. We are the kind of commercial movers who believe in affordability, as well as quality. Another common service Pennsylvania commercial movers offer is this one. If you have multiple offices, you’re probably looking for this kind of work. So, ask your movers for an on-site quote. Our representatives do this at no charge at all. They come and assess your belongings, telling you what kind of a price range you should be looking at with your budget. At this time, you can ask for their recommendations regarding different services and options for moving the offices. Commercial movers in Pennsylvania, like Movin’ Murdy, are absolute professionals. After you have a good moving company doing your relocation you won’t have to worry about a thing. With plenty of experience and good quality, packaging supplies your working space is in safe hands. Our movers are punctual on moving day and they are diligent in their work. They will surely pack all of your items skillfully and make sure to keep them from getting lost or damaged. And, in case this happens, there is always the moving insurance which we offer. Be sure to ask about who is liable for what carefully, though. Is it time to relocate your business? Choose reliable PA commercial movers. When it comes to choosing commercial movers in PA there are plenty of choices. So, we completely understand the dilemma. Before we get to the important questions any business owner should ask their potential movers, we want to give some insight into finding quality PA long-distance movers. 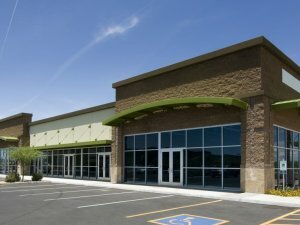 If you’re relocating a business for the first time you probably don’t have any companies in mind. Even though you’re on our website, we want to help you have a few more options. It’s a great way to gauge if you’re being overcharged with the moving quote or not. So, start by asking another company for a recommendation. Corporate moves in PA usually have committed clients whom they’ve been working with for a long time. Hence, any recommendation you get will come with insight as to why this company is good and why it isn’t. That way, you can choose the one which fits you the best. If you don’t know another business owner who can give recommendations, there is always the option of looking up online. However, be sure to check reviews, as well as the website. Make sure that they have a good rating on BBB and look up their USDOT number online. The latter will tell you if they’re licensed and insured commercial movers in PA. And, when you have a list of about five relocation companies, it’s time to narrow down the possibilities… Here are some useful questions which should help you out! We’ve given you some idea regarding what commercial movers in Pennsylvania usually offer business owners. But, here is the general breakdown of your options. You can opt for a DIY relocation with a little help from corporate movers. This means that you will be the one getting everything ready and packed in the offices before moving day. And, this is a good idea if you have an internet marketing company, for example. You won’t have too many fragile items and preparations are generally straightforward. If you do have any sensitive machines, PCs or printers, be sure to carefully prepare them. Then, there is the option of hiring your commercial movers in PA for a partial pack. This means that you will do most of the heavy lifting regarding packing, once more. You will be able to set aside any difficult items you have for the workers to prepare. If you have any artwork in the office or many fragile belongings, it’s the option we suggest. For example, this is the perfect relocation plan for a restaurant or something similar. In the end, there is the option of letting your corporate relocation company take care of everything. This is the full packing and unpacking service, along with transport. Basically, you will have to show up on moving day and declutter anything you don’t want to be moved beforehand. And, your Pennsylvania commercial movers will do the rest. They pack, load, transport, unload and unpack. No missing stationery and satisfaction guaranteed! Have you explored all the options for office moving in Pennsylvania? How many workstations are you moving? What desks, bookcases, file cabinets and other bulky items will be moved? Are there any PCs, copy machines or other delicate technology which your commercial movers should pay special attention to? Do you have any artwork or valuables at the office which needs special attention and handling? Are there any items which need specialized items from your corporate movers in PA? How many people are needed for this job? While an affordable quote is definitely something your corporate movers in Pittsburgh should be able to offer, there are a few more convenient things to ask. The goal of every commercial moving company in PA is to provide their customers with satisfying service, after all. But, not every business owner knows what to look for as additional commodities. So, here are our suggestions what to look for in good commercial movers PA.
Commercial movers in PA can give you a solid plan and an affordable quote. The main questions are what is an install team and why do you need them when relocating a business? Well, it’s pretty straightforward. If you have any shelves, desks or other items which need to be assembled and set up in your new offices you will need a group like this. It is a specialized team of professional workers who have been extensively trained for these kinds of services. However, this is also where the quotes of certain commercial movers in PA rise. The common practice is hiring an outside specialized install team if necessary. Hence, if you do need their services, ask about an in-house one. Movin’ Murdy commercial movers are equipped with a professional install team in-house. This means that they won’t overcharge you for their services. We know that moving to Pennsylvania with a business is expensive, so we try and make it as affordable as possible. This is done by investing in our workers and making them fully equipped with necessary skills. They will handle your items with utmost professionalism and care in order to prepare your new offices for work as quickly as possible. Want to change the way your offices look a little bit? Maybe you don’t have a solid plan yet and you’re not sure if you’re ready to get rid of the old items from the office? That’s perfectly alright! You’re not the only business owner in town who’s thinking about this. So, while you’re painting the walls and deciding on the floor type and style, Movin’ Murdy has a suggestion. Ask about the costs of depository facilities which we provide. We guarantee one of the most affordable storage PA options available. Your items will be safe and sound while you plan out your offices. And, if you do need an install team after all of this, we are still available. For all those business owners who already know what they want, this is a thing to ask about. If you’ve got a set plan for your new offices you may have some bulky items you’re looking to dispose of in a hassle-free way. Then, this is a perfect service. Our workers are at your disposal. They will prepare the items and take them away without you having to do the heavy lifting. You won’t need to look for donation options or list them online for sale. It will be a smooth move altogether with good commercial movers in Pennsylvania. The only thing we ask is that you tell us about these requirements during the on-site quote. Then, we know exactly how to prepare for your moving day without any confusion. And, yes, it will still be affordable. Before you sign your contract with movers ask plenty of questions. We put our customers first. This means that if you have any special requests or need support during your business relocation we will provide it. During an on-site estimate is the perfect chance to ask about all of this. Tell us exactly what a hassle-free move is for you and we will provide you with the best options. Our representatives are friendly, professional and well-informed about the moving industry. They give you affordable quotes on-site after assessing your belongings. And, if you need a price breakdown or a moving day walkthrough, they are always happy to give you more information. As for the day of your business move, there is no need to worry. Our workers are among the best in the state. They are punctual, diligent and will answer any additional questions you may have. Don’t worry about losing stationery or damaged items. With our services as commercial movers, there is satisfaction guaranteed! You’re moving your Pittsburgh, PA business to a more spacious location, and you have plenty of furniture and equipment that needs to be moved as well. You can rely on the professionals at Movin Murdy to get the job done. We’ll help you pack, load, move and unpack everything in your new office space. We offer long-term, short-term and overnight service, and we are dedicated to getting the job done in a safe and timely manner. You can reach us at 412-731-1722 to learn more about our commercial moving service. Work with Movin Murdy to complete a successful commercial move.